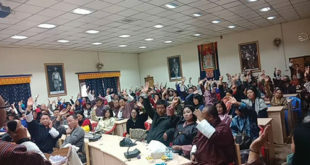 In what will come as a big boost for businesses and shops along Norzin Lam and also for customers who use the parking space there, the cabinet in its last meeting did not approved plans by the Thimphu thromde to pedestrianize Norzin Lam or remove the parking space there. Thimphu thromde had announced earlier this year that it would remove all parking spaces on Norzin Lam by December 2018 once the two the multi level car parking’s are completed near Zangtopelri and the BOD. This was in spite of the fact that the since mid 2016 the cabinet had temporarily put the Thromde’s pedestrianization plans on hold after shops and businesses along the road put up a petition to the cabinet. The cabinet had said that it would look at the Thimphu Structure plan and see if it is feasible to pedestrianize Norzin Lam since the last cabinet approval was given in 2003 when conditions were quite different. The Thromde’s plan of removing all parking spaces and allowing vehicles to stop only for 15 minutes by the end of 2018 was seen as a backdoor entry to defy the cabinet’s halt orders. The cabinet in it last meeting found that adequate stake holder consultation had not been done on the issue. It also found traffic movement studies were not done to see the impact of blocking off the main street of Thimphu to all vehicular traffic. The cabinet also found that the one-day pedestrian day every year, where Norzin Lam is blocked off did not show any positive gains as it leads to congestion and traffic jams in other areas. It found that pedestrianizing Norzin Lam without the proper consultation and studies would lead to traffic gridlock and congestion on the other roads around it. A cabinet order not giving approval to the pedestrianization was issued and will be binding on the Thimphu Thromde. 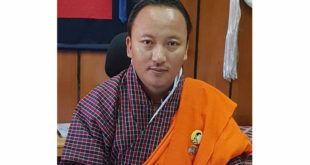 However, interestingly on 8th August the Urban Planning and Design division of Thimphu Thromde on its facebook page put up a video promoting the pedestrianization of Norzin Lam saying it was approved by the cabinet in 2003. The Bhutanese in a detailed article in July 2018 had pointed out the fact that while the Thromde’s two Multi level Car Parking (MLCP) projects provide additional parking for 550 cars, it does not make sense to remove around 230 car parking spaces along Norzin Lam. This is when 1,200 new vehicles enter the city’s traffic systems every year. 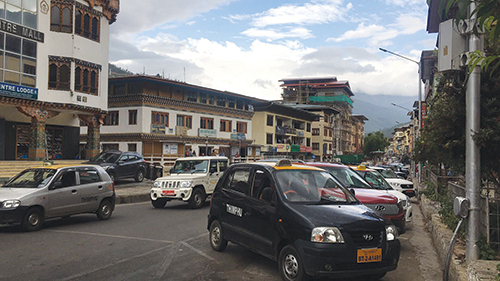 Shops along Norzin Lam say that the removal of parking spaces on Norzin Lam by Thimphu Thromde will also harm their business and instead divert people to shops in the two MLCPs. Some shopkeepers say that the Thromde’s plan for Norzin Lam seems more about the commercial viability of the two MLCPs than actually creating additional parking space. The MLCPs have 20 percent commercial space to build shops. Shop owners were also not happy with these 15 minutes parking rules as it will adversely affect their businesses. A Road Safety and Transport Authority’s (RSTA) senior official, on the condition of anonymity, said that the removal of parking spaces in Norzin Lam, is going to make the traffic situation even worse.